Roll Maker There are 3 products. 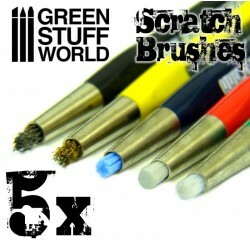 Scratch Brushes are great for tough cleaning tasks, and for creating scratch effects in your dioramas, among other uses. The ultimate tool to make all kind of tubes, tentacles, and wires.